Something sweet is in order! Let's put a hold on the fish and veggies and say 'he-llo' to sugar and ice cream. 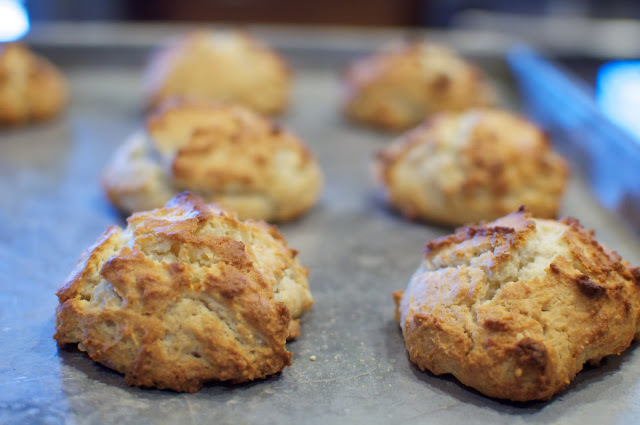 Even better when you add biscuits to the mix. My man's mom is a phenomenal cook. 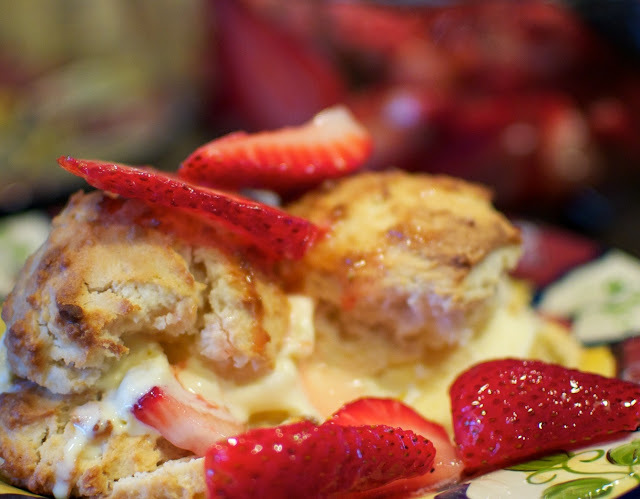 She whips together this strawberry shortcake in two seconds flat, and it's GOOD. Sweet strawberries over crispy biscuits and vanilla ice cream to finish it off. 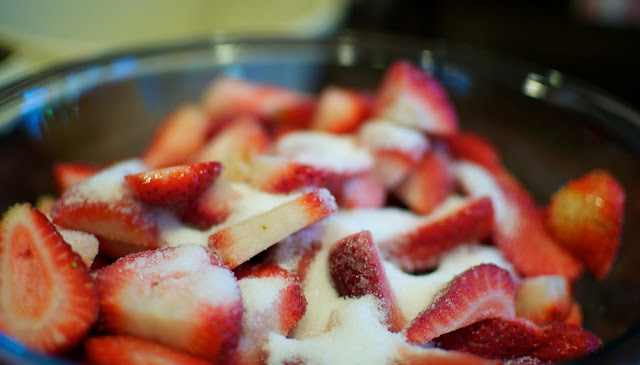 Mix strawberries in a large bowl with 1/2 cup sugar. Stir, and set aside. For the biscuits, mix everything together except the butter. Once it is mixed properly, use a cheese grater to make little pea-sized chunks of the cold hard butter. Mix these chunks into the mix. Don't worry about it being smooth. When baked, these butter chunks will melt into nice pockets of goodness. 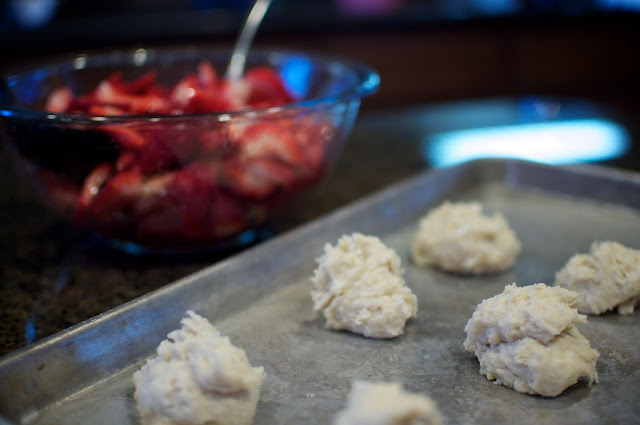 Then make the biscuits, then dropping them with a spoon onto a cookie sheet. Bake for 20-30 min. Top with strawberry mix and ice cream.